Nicholas, Pauline, and the entire staff were extremely helpful and took care of all of our needs and requests immediately. This and the shuttle service and the beach passes ensure that we will return. Best B and B experience that I can recall. Very hospitable innkeepers who thought of everything to make our stay most enjoyable. Situated on the waterfront, this vacation home is within 1 mi (2 km) of Jenkinson’s Aquarium and Jenkinson's Boardwalk. Bay Head Beach and Howe St. Jetty are also within 2 mi (3 km). 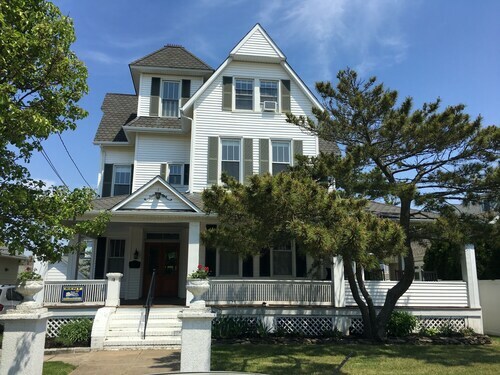 Situated in Point Pleasant Beach, this historic vacation home is within 1 mi (2 km) of Jenkinson’s Aquarium and Jenkinson's Boardwalk. Bay Head Beach and Howe St. Jetty are also within 2 mi (3 km). 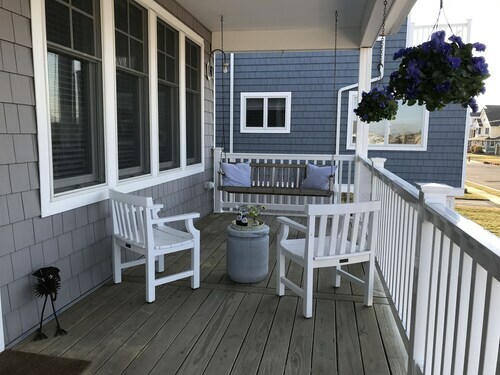 Located in the heart of Point Pleasant Beach, this vacation home is within a 10-minute walk of Jenkinson’s Aquarium and Jenkinson's Boardwalk. Bay Head Beach and Howe St. Jetty are also within 3 mi (5 km). 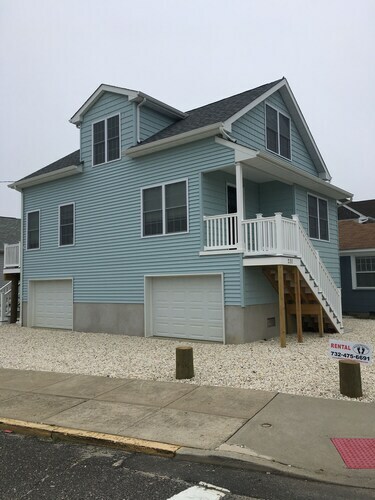 Situated on the beach, this romantic vacation home is within a 10-minute walk of Jenkinson’s Aquarium and Jenkinson's Boardwalk. Bay Head Beach and Howe St. Jetty are also within 3 mi (5 km). 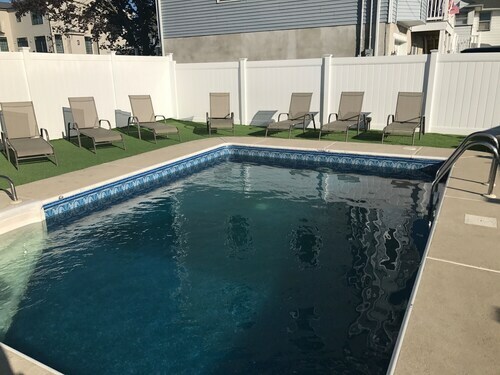 Situated in Point Pleasant Beach, this vacation home is within 1 mi (2 km) of Jenkinson’s Aquarium and Jenkinson's Boardwalk. Bay Head Beach and Howe St. Jetty are also within 3 mi (5 km). Situated by the ocean, this romantic vacation home is within a 10-minute walk of Jenkinson’s Aquarium and Jenkinson's Boardwalk. Bay Head Beach and Howe St. Jetty are also within 3 mi (5 km). 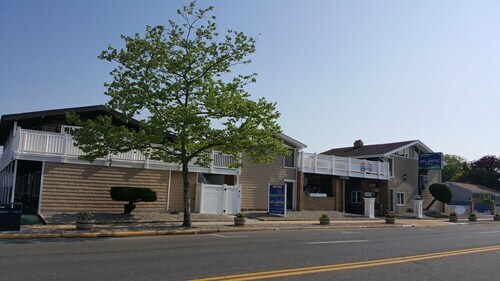 Situated in Point Pleasant Beach, this vacation home is within a 10-minute walk of Jenkinson’s Aquarium and Jenkinson's Boardwalk. Bay Head Beach and Howe St. Jetty are also within 3 mi (5 km). When the little ones need to burn of some energy, you'll be glad that you're just around the corner from Jenkinson's Boardwalk. 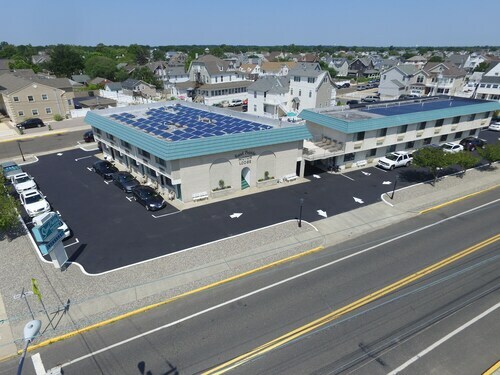 It is located in Point Pleasant Beach, approximately 40 miles (64 kilometers) from the state capital, Trenton. 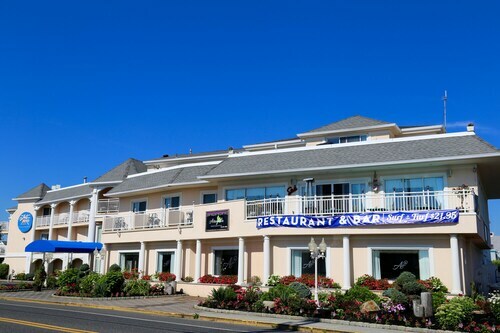 You'll find 6 hotels situated within 2 miles (3 kilometers) of Jenkinson's Boardwalk. 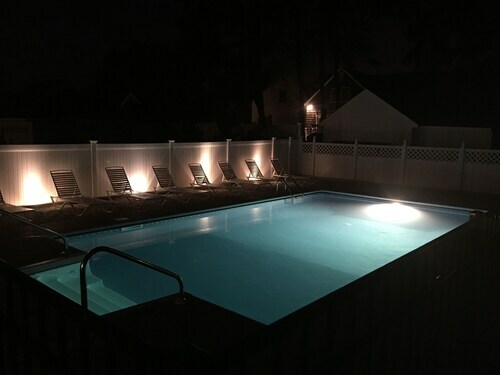 A lot of travelers have had good experiences at the Grenville Hotel & Restaurant, 1 mile (2 kilometers) away, the Pelican Point Motel, 0.3 miles (0.5 kilometers) away, and the Rodeway Inn, 1 mile (2 kilometers) away. If you're searching for inexpensive hotels, there are a few available. For example, you will find the Dunes by the Ocean 0.9 miles (1.4 kilometers) away, while the Shore Point Motel is 0.6 miles (1.0 kilometer) away. A night or two at the Inn on Main Hotel is well worth every cent. It's the only upmarket hotel around, 2 miles (3 kilometers) away. Pull up a chair, give your feet a rest and enjoy a snack at Black Anchor Coffee House, a great eatery not far from Jenkinson's Boardwalk. A great choice for travelers searching for a more serious dining experience is Little Mac's. Again, you don't have to travel too far to reach it. Continue walking and while away an evening trying the wine, beer and whatever else entices you at Boardwalk Bar & Grill. At Jenkinson’s Aquarium you will see enclosures filled with wonderful creatures from the depths of our enigmatic oceans. Take a break to savor some of Mother Nature's protected land at Fisherman's Cove Conservation Area. Spending time shopping at La Placa Pottery Works is a popular way to really fit in with the locals. If you're an art fan, visit Anchor and Palette Art Gallery to admire the exhibits. The family will enjoy stopping into Vintage Automobile Museum of New Jersey, where they can learn about the history of local transport. To get to Jenkinson's Boardwalk, you should try catching a train. The nearest station, Point Pleasant Beach Station, is just 0.5 miles (0.8 kilometers) away. How Much is a Hotel Room in Jenkinson's Boardwalk? 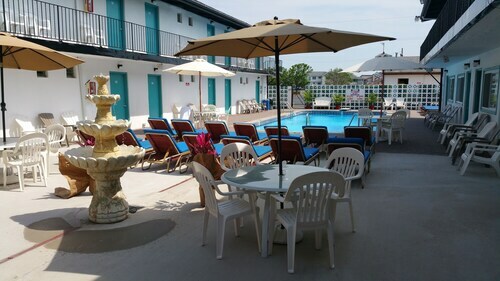 Hotels in Jenkinson's Boardwalk start at $55 per night. Prices and availability subject to change. Additional terms may apply. 4 Bedroom ON THE Beach From $250 - $350 / Night!!!!!!! 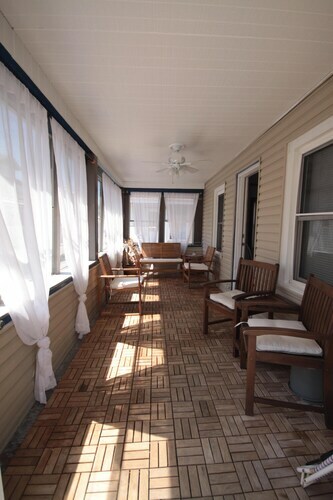 In Ground Salt Water Pool, Walk to Beach, Boardwalk, Restaurants, Shopping!